The process of extracting oil from cannabis is quite simple. We use supercritical CO2 extraction to gently wash the plant over time, slowly releasing the wide variety of cannabinoids and terpenes naturally present within the plant. Plant fats and waxes are also released during this extraction process, so the oil must undergo a process called winterization where it is mixed with 100% organic ethanol, cooled, and filtered multiple times to remove these fats and waxes which are undesirable. The mixture is filtered repeatedly to yield a smooth, full flavored oil. In the final stage, we recapture the ethanol through distillation, leaving behind an oil that ranges in color from dark amber to golden honey depending on the strain and trichome maturation when the plant was harvested. 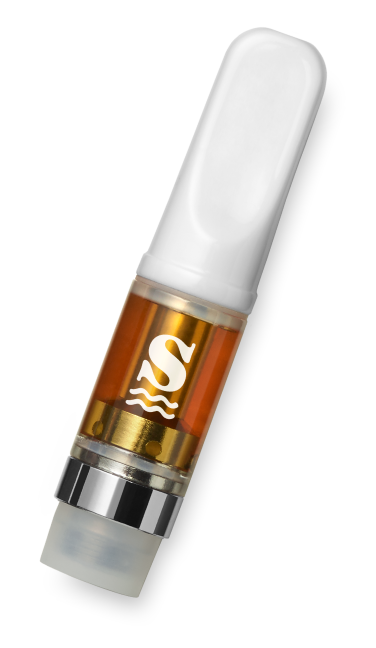 This is the 100% pure cannabis oil you will find in a Sonder oil cartridge. Nothing is added to our oils, ever. At Sonder, we are obsessed with quality, craftsmanship and detail. 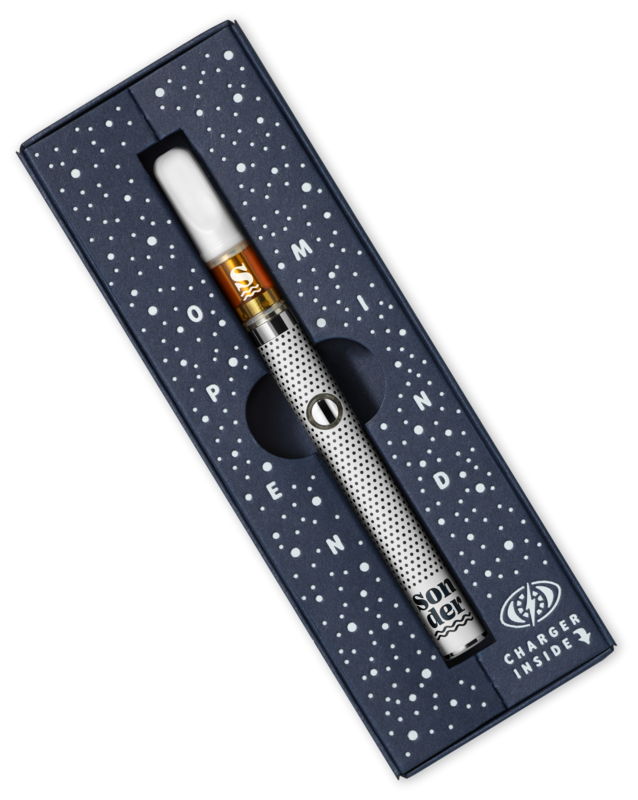 That's why we've combined premium Jupiter CCELL hardware with the high-est quality sun grown cannabis oils to create an extraordinary vaping experience: naturally full-flavored plumes with a smooth, round finish. Remove the rubber cap on the bottom of the cartridge. Screw the cartridge snugly onto any 510 threaded battery, be sure not to over-tighten. For a small puff, inhale slowly up to 3 seconds. For a power puff, inhale 3-8 seconds. Exhale and smile. It's Sonder time! The battery included in our Explorer Kit comes fully charged and ready for use. It is designed with a button that allows you to adjust the temperature as well as turn it on and off. The battery comes set to the lowest setting which delivers optimal flavors and feels. If you prefer bigger plumes, just turn the battery up! Press and hold the button while drawing from the ceramic mouthpiece. The ring around the button will light up indicating the battery is heating. Not all batteries are created equal, and lower quality batteries often compromise the taste of our high-est quality oils. 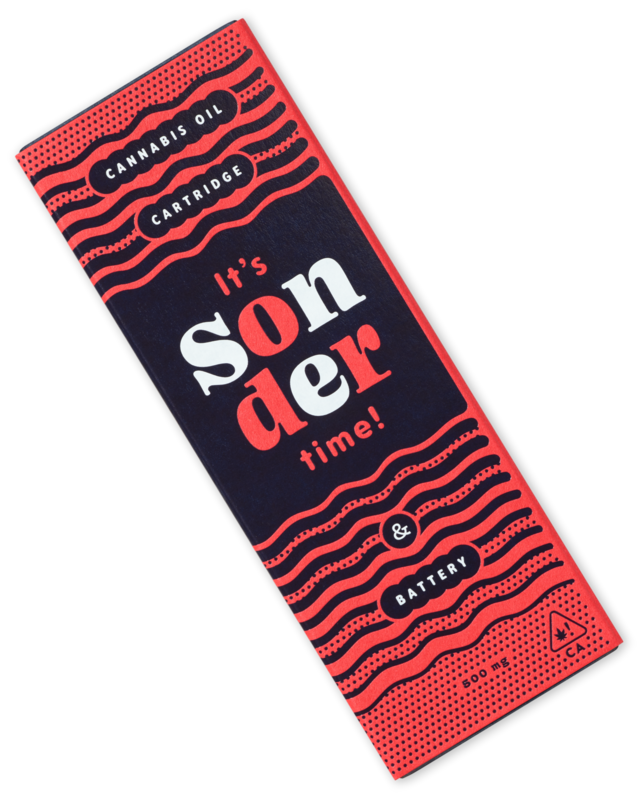 So while our oil cartridges will work with any 510 threaded battery, we recommend a Sonder brand battery which has been specially calibrated for use with our cartridges to give you the absolute best tastes and feels possible. Our ceramic cell cartridges are made entirely of glass, metal and ceramic. No wicks, no plastic, no potential for nasty off-gassing. Even our mouthpiece is ceramic! The battery included in our Explorer Kit is designed to maximize the natural flavors of our oils without overheating. Periodically clean the metal contact pin on your battery and charger by lightly moistening a cotton swab with alcohol and rubbing both contacts gently to remove any residual oil that may cause the parts to stick together or become damaged. Screw battery into the USB charger included in the Explorer Kit. Be sure not to overtighten. The indicator light on the charger will turn green when the battery is fully charged. Extreme temperatures can cause your cartridge to leak or become inoperable. Optimal temperature for operation is 50°-85°F. Store your oil cartridges upright to reduce chance of leakage over time. High altitudes can cause your cartridge to leak. Always store your cartridge in a sealed container when traveling. Whether you’re a first time user or a seasoned veteran, we’ve got the answers to your questions right here. Don’t see what you're looking for? Drop us a line. Sonder time is a moment of awareness, a connection to yourself and to the world around you. It is a way of seeing, a lens that can help reveal what we might otherwise overlook. It’s the space between spaces; the magical moments we find if we take the time to look and turn towards the world openly with curiosity and wonder. It’s that magical moment you discover you are not alone. Where can I find Sonder? Click here to go to our Find page and search the map by address or zip. I’m new to this whole vaping thing. What should I expect? Fantastic! Welcome. Vaping is a great way to experience the benefits of cannabis because you can very closely control the amount you consume over time, making sure you don’t overdo it too quickly and become uncomfortable or fearful of being out of control. Maybe you hit a friend’s bong in college, got WAY too high WAY too quickly and had a horrible experience. This should be nothing like that! You’ll want to make sure the first time you try cannabis that you’re in a comfortable, safe space with plenty of time on your hands. Queue up something funny to watch, kick back in your comfiest chair and make sure you have plenty of snacks on hand. If you have a friend to bring along for the journey, even better! Your day is about to get MUCH better. For new users, we recommend starting with the lowest setting (green) on your Sonder battery and taking one or two hits and then waiting 15 minutes to see how the effects settle in. When you exhale, you should see a gentle plume of vapor drift out in front of you. If you’re looking for big fat clouds of smoke that render you inoperable, you’re probably better suited for a bong. If this was your first time, we’d love to hear about it! Drop us a line and tell us how it went. How is vaping cannabis oil different from smoking flower? There are many different ways to experience cannabis from vaping oils to edibles, from bong rips to dabs. Here at Sonder, we love them all, and each way to consume cannabis is appropriate for a different occasion. Vaping produces a more clear-headed high, probably because you’re not inhaling all of the byproducts of the combustion process such as tar and other potential carcinogens. We find vaping to be a great option when you’re looking to use cannabis on the go or when you need to be discreet. There’s no messy bowl to clean or repack, no smoke involved, and the flavor is like taking the first hit off of a bowl with each hit. I don’t know, you tell us! How is your oil made? Nope. We’ve been growing cannabis without chemicals or nasty pesticides long before it was mandated by the government. Learn more about our sustainable, pesticide free, family run farms here. 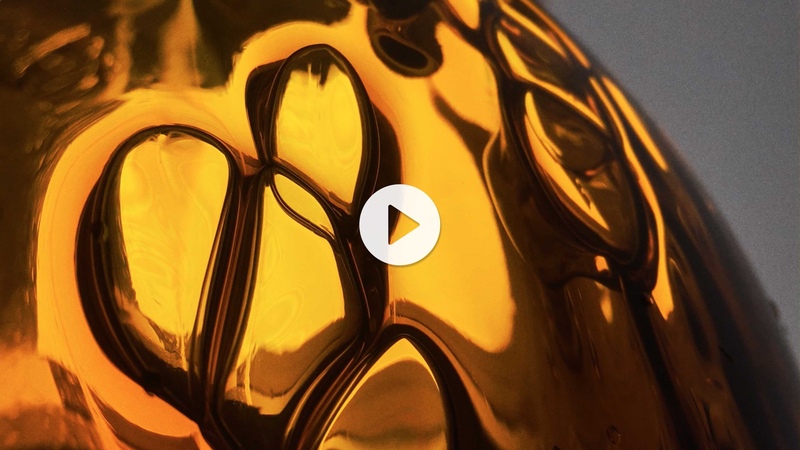 What’s the difference between cannabis oil and distillate? Distillate is cannabis oil that has been further refined to remove additional plant fats, waxes and molecules. As a result, you get an oil that tends to be lighter in color and higher in THC. Since the cannabis high is affected by the full range of cannabinoids present in the plant and concentrate, a higher THC percentage does not necessarily mean a better or “higher” high. 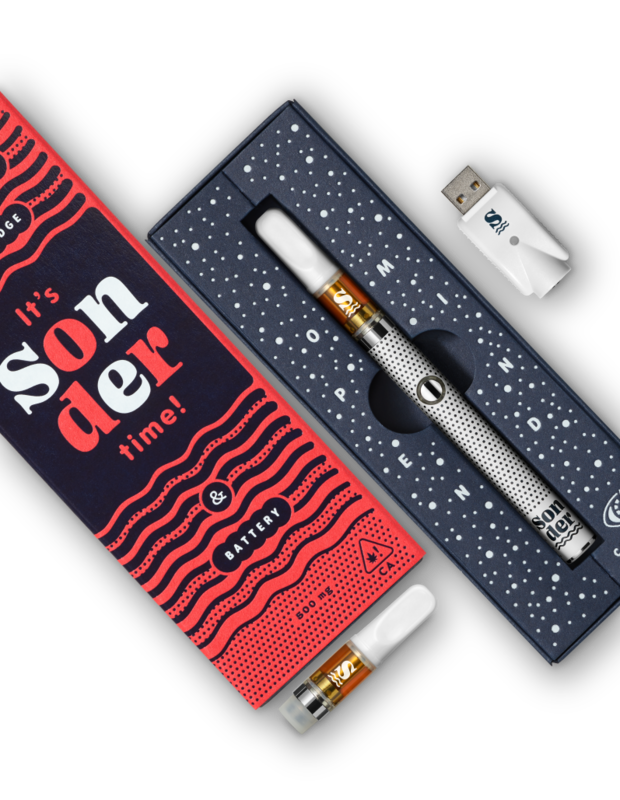 Are Sonder oils made with butane extraction? Nope. We use a clean, closed-loop CO2 extraction system with a minimal environmental impact to process our products. We find that this process yields a smooth, clean, unadulterated product that is akin to virgin olive oil. We just take what nature has given us, process it as gently as possible to retain all the original terpenes and cannabinoids and deliver it to you in state of the art hardware that complements our high-est quality oils. If you’re pressing the button on your battery and inhaling but the light doesn’t come on, your battery is either turned off or dead. To turn it on, click the button 5 times. 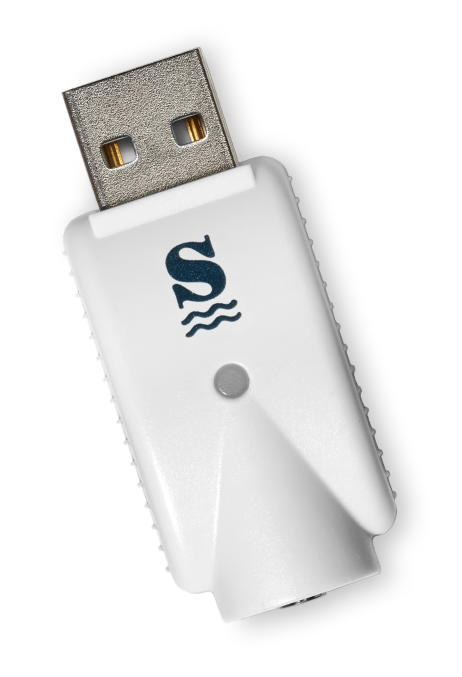 If it’s dead, plug it into the USB charger and give it a few hours until the charger indicator light turns green. How many hits should I take? One of the benefits of vaping is being able to very finely control how much cannabis you consume, making it a great way for people new to cannabis to become acquainted with the effects of the magical plant in a gradual way. How much you consume is up to you, but we recommend taking a few puffs and then waiting up to 15 minutes for the effects to settle in before puffing on the pen again. Vaping is the heating of cannabis at a temperature below combustion. Since combustion doesn’t occur, no smoke is created. Studies have shown that vaping produces fewer carcinogenic compounds than smoking. Additionally, many people find vaping to be more gentle on their respiratory system. Can I refill a cartridge once it’s empty? 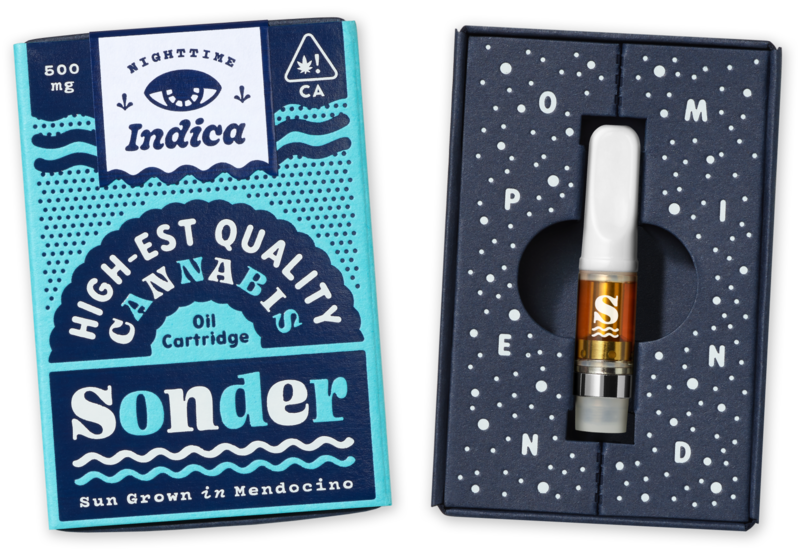 Sonder cartridges are currently single use. But we’re working on a recycling program. Stay tuned. How should I store my oil cartridges? All cartridges should be stored mouthpiece up with the small rubber cap over the bottom threads to minimize the chance of the cartridge leaking over time. Where do you source the cannabis for your products? All Sonder oils are made with cannabis sun grown in the coastal Mendocino region on small family farms using sustainable farming practices, zero pesticides, and organic fertilizers. The way it should be! What are the specs for the battery and cartridge? What’s the difference between your single origin oils and blends? Single Origin oils are made using a single strain of cannabis and the terpenes native to that specific strain. Blends are a mix of sativa or indica strains and are more suited towards anyone who isn’t sure which strain is right for you. CBD is one of many chemical compounds found in cannabis that contributes to its overall effect. Strains with a high CBD to THC ratio are great for anyone seeking the medical benefits of cannabis without the psychoactive effects. Cannabinoids are the chemical compounds found in cannabis that contribute to its overall effects and health benefits, the most well known of which are THC and CBD. Is a higher percentage of THC better than a lower percentage? Since the overall high is affected by the complete range of cannabinoids and terpenes present in the oil or flower being consumed, a higher THC percentage doesn’t necessarily mean you will get higher than a slightly lower percentage with a broad spectrum of native cannabinoids and terpenes. The system of receptors in your body responsible for the uptake of cannabinoids into your system. This system helps regulate a number of physiological and cognitive processes including appetite, pain sensation, mood, memory, and fertility. Since each strain of cannabis contains different sets of cannabinoids, each one will affect you slightly differently and may even vary from person to person. Terpenes are molecules found throughout the essential oils of plants. The same compounds that give cannabis its distinct skunky aroma are also found in everything from lemons to lavender to coffee beans. These delicate compounds degrade with exposure to high temperatures which is why we recommend low temperature vaping of our oils. What’s with all the crazy strain names? Modern strain naming began in the 1960s when cannabis breeders started bringing strains from around the world called landrace strains back home and planting them locally. Just like a human name can tell a story about a person, a strain name can tell us a story about a cannabis plant. Sometimes the name is a reference to the strain’s effect (Blue Dream), the country of origin (Afghan Kush), a cultural event (Sputnik), the taste (Blueberry), physical traits (White Widow) or the breeder’s sense of humor (Cherry Seinfeld). Cannabis is unique in that while the plant gives a general overall effect, each phenotype or strain has a different cannabinoid and terpene profile which will give it tastes and feels unique to that strain. What are the cannabis laws in California? Medical marijuana has been legal in California since 1996, but in November of 2016 California voters passed Proposition 64 which legalized the use of recreational marijuana in California for adults 21 and over, as well as the sale and cultivation of marijuana in compliance with strict regulations. I’m a licensed dispensary or distributer and I’d like to carry Sonder. Fantastic! Please do get in touch.